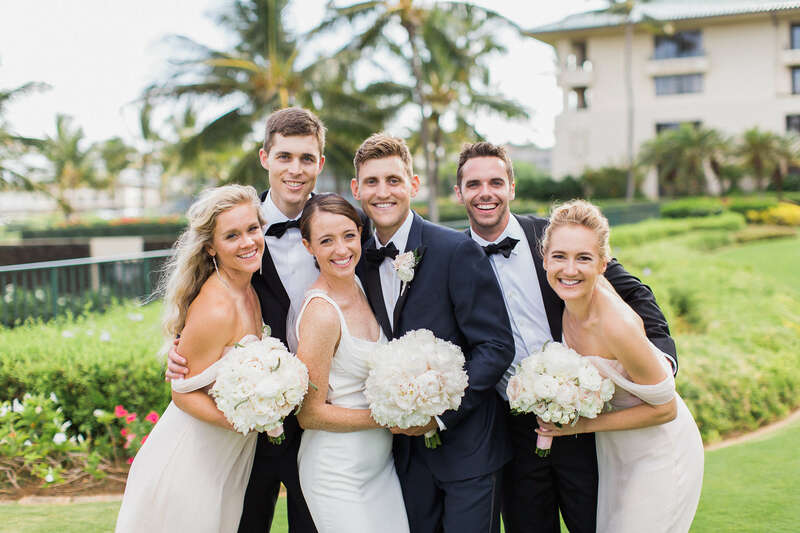 We are beyond excited to share Sam and Troy’s chic Hawaiian destination wedding with you!! After dating for more than six years, Sam and Troy decided to get married! But with their families scattered from coast to coast, they had a hard time deciding on where to tie the knot. 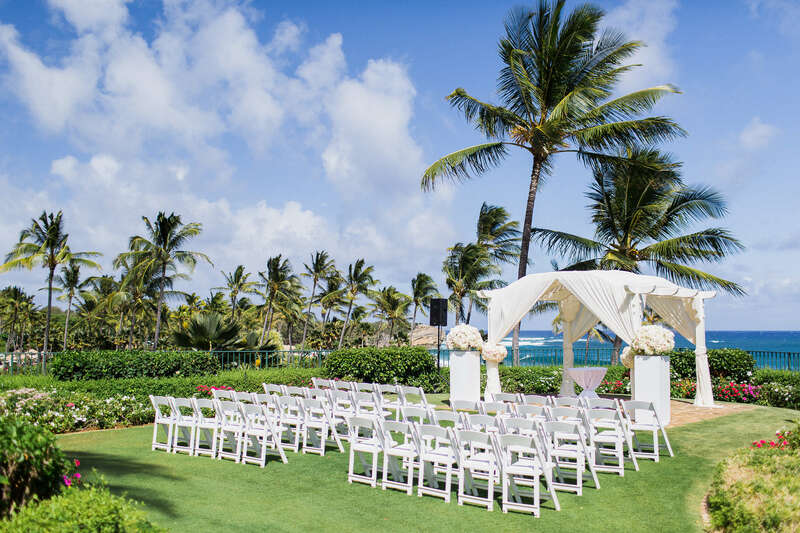 Since they had wedding guests all over the US, they decided on a destination wedding in one of our favorite locations…Hawaii!! For their wedding, Sam wanted to incorporate island inspired elements, but keep an overall elevated and elegant vibe. 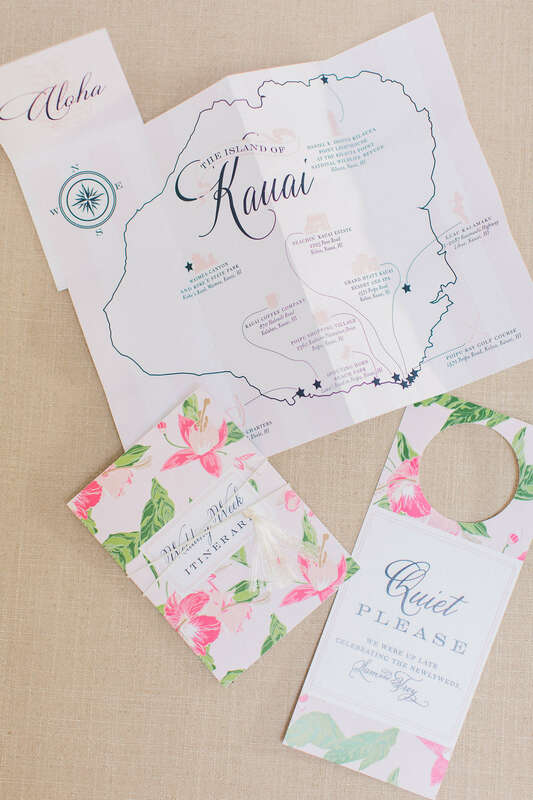 So we fused traditional and preppy with a Hawaiian floral pattern to create some insanely beautiful wedding paper. 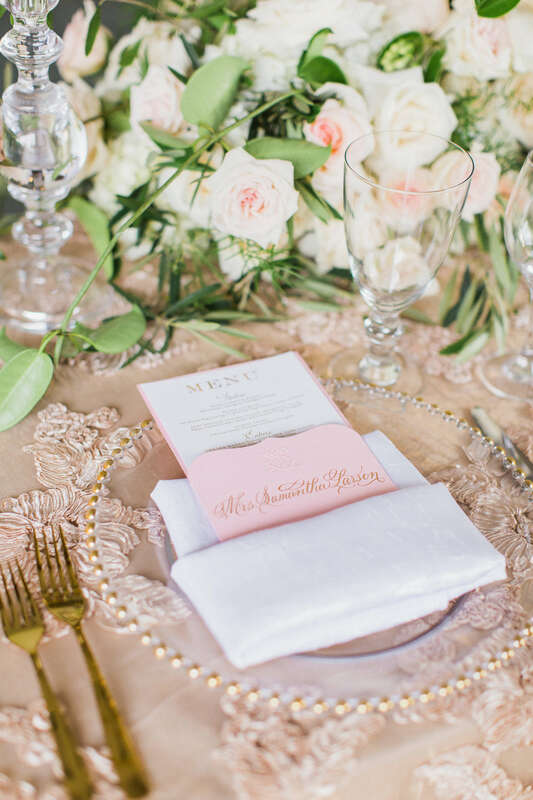 The couple’s custom wedding monogram is the perfect example of their uniquely elegant and Hawaiian design. We formed their initials into a traditional interlocking monogram, and framed the letters with palm leaves. Their wedding logo was white, navy, and pink, giving the design some preppy flair! The final product was stunning and looked great when incorporated into different wedding items! 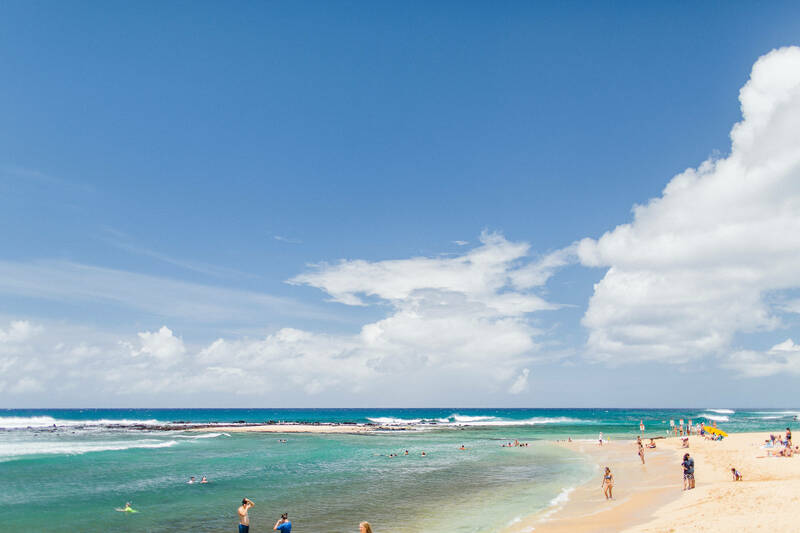 Take a peek at some of the best moments from Sam and Troy’s chic Hawaiian destination wedding day!! As mentioned, Sam and Troy’s friends and family literally came from every corner of the country to celebrate the couple’s wedding. So as a thank you for their travels, the couple went above and beyond with their wedding welcome bags. 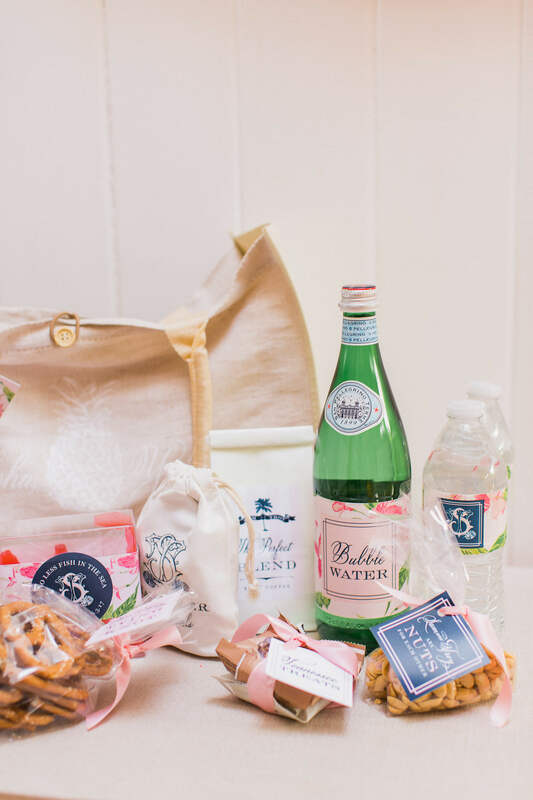 Each guest received a wedding weekend beach tote that was filled with all sorts of personalized goodies including water bottles, door hangers, and treats from both Tennessee and Hawaii! Each welcome bag also included a weekend itinerary (wrapped with a swanky tassel) so guests could keep track of weekend events. Love Sam and Troy’s wedding as much as we do? 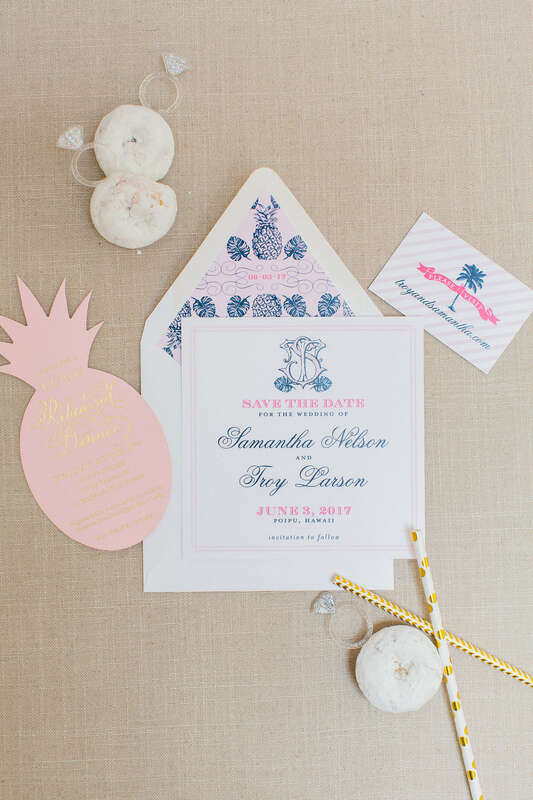 Be sure to visit their custom wedding gallery to see their entire wedding, including pictures of their chic Hawaiian wedding invitations!! They are INCREDIBLE! !